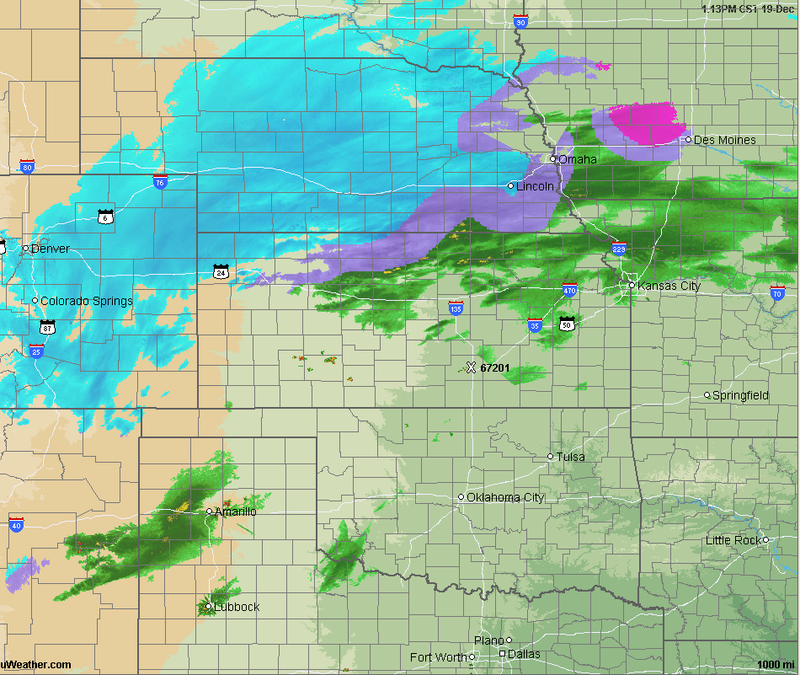 AccuWeather regional radar shows the blizzard in full force in the High Plains with wind gusts of 45 mph common over southwest Nebraska at present. 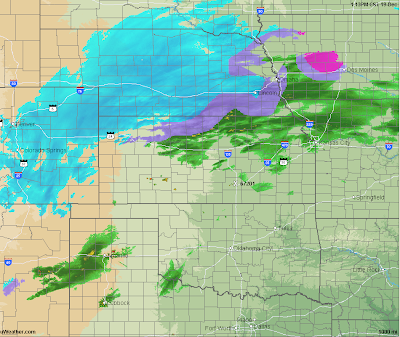 The blizzard warnings (orange) are now a continuous band from western Kansas to Lake Michigan. 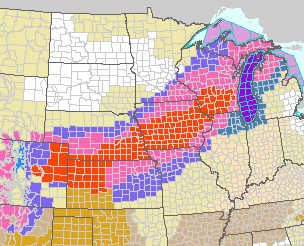 Pink = winter storm warnings. 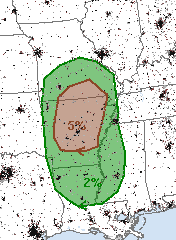 The tornado threat has enlarged slightly (5% is the significant threshold) and moved north a bit for late today and, mostly, tonight. 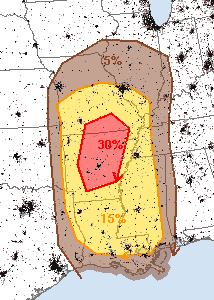 The probability of damaging thunderstorm winds has increase and edged north as well.